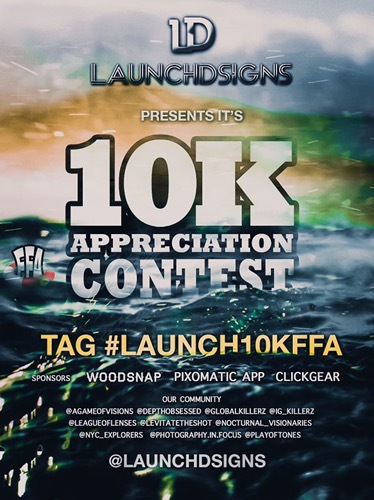 At @launchdsigns we appreciate the love and support that we have gotten from the @instagram community, we have met lots of talented photographers and artists all over the world these past months and we are really honored for the support of our growing followers.To commemorate our 10k following, we would like to give back by ‘Launching’ a 10K FFA called #LAUNCHDSIGNS10KFFA loaded with awesome prizes. • Choose any photo from the dropbox link in our bio and apply any type of edit. All edits must be posted by December 9, 2016, enter as many times as you like. Woodsnap prints can ONLY be shipped to the continental U.S.